We're best known for providing replacement windows, but we also provide vinyl, wood fiberglass and aluminum doors. Common uses include storm doors, patio doors, and garden doors. 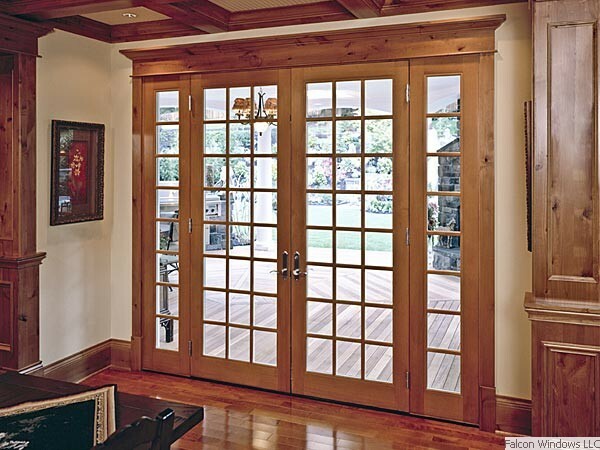 Our replacement doors are available in numerous configurations: sliding glass doors, French style sliding glass doors, and traditional swing-in or swing-out French doors. Be sure to check out the full replacement door photo gallery. Have questions about our replacement doors? Want a free in-home consultation? Need a free estimate? Don't hesitate to contact us... we love to help!